With the words “The Big Orange” painted onto a not so big orange, it's just another cheap gimmick to try and fool us! Receiving a whopping 0/25 Stars, I hereby remove this non-big thing off the Big Things of OZ, Big list! 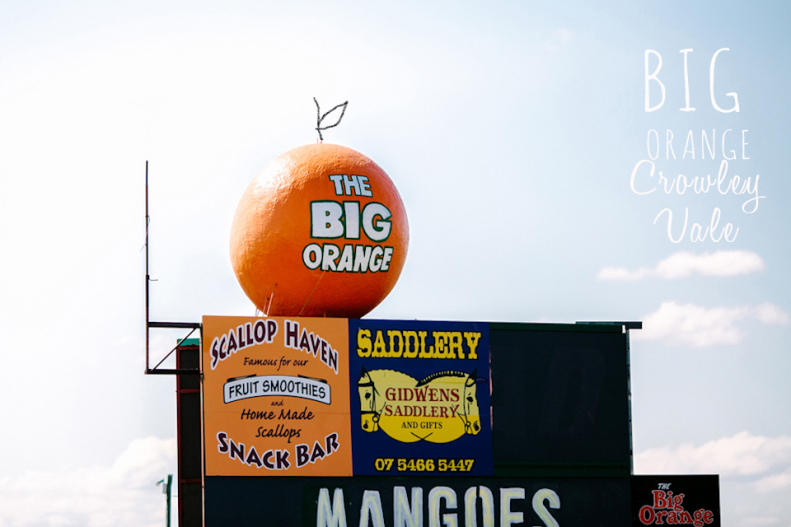 Address: The Big Orange Shop Fruit Shop, Corner of Warrego Hwy and 39 Crowley Vale Rd, QLD.